Knight, A, Sofrà, F, Stickland, A, Scales, P, Lester, D & Buscall, (2017) ‘Variability of shear yield stress – measurement and implications for mineral processing‘, in A Wu & R Jewell (eds), Proceedings of the 20th International Seminar on Paste and Thickened Tailings, University of Science and Technology Beijing, Beijing, pp. 57-65. Sofra, F. (2010) “Rheology for the Minerals Industry – A Glossary of Terms.” D.V. Boger Proceedings of the Thirteenth International Seminar on Paste and Thickened Tailings 5-8 MayVina del MarChile. Sofrà, F. (2006) “Rheological Assessment – A roadmap for plant designers and operators.” Proceedings of the Ninth International Seminar on Paste and Thickened Tailings 4-7 April 2006, LimerickIreland. Sofrà, F., DT Fisher, AR Kilcullen and PJ Scales. (2006) “A Framework for Rheological Assessment of Nickel Laterite PAL Feeds” Proceedings ALTA Ni/Co Conference May 15-19,PerthAustralia. Sofra`, F.,Ruse, B.C., Boger, D.V. (2003) “Sustainability, Environmental Rheology and Full Cost Accounting of Tailings Disposal.” Proceedings XXII International Mineral Processing Congress, 2003 29 September-3 October.Cape Town,South Africa. Sofra`, F., Boger, D.V. (2002) “Planning Design and Implementation Strategy for Thickened Tailings and Pastes”. Proc. 9th International Conference on Tailings and Mine Waste.Fort Collins,Colorado,USA. 27-30 Jan. 129-137. Sofra`, F. Boger, D.V. 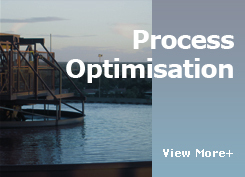 (2002) “Environmental Rheology for Waste Minimisation in the Minerals Industry”. The Chemical Engineering Journal, 86, 319-330. Sofra`, F., Boger, D.V., Scales, P.J. (2002), “Management of the Flow and Processing of Mining Waste Streams” Proc. Green Processing 2002, 29-31 May, Cairns, Queensland, Australia. Sofra`, F. Boger, D.V. (2001) “Slope prediction for thickened tailings and pastes”. Proc. 8th International Conference on Tailings and Mine Waste.Fort Collins,Colorado,USA. 16-19 Jan. 75-84. Sofra`, F. Boger, D.V. (2000) “Exploiting the rheology of mine tailings for dry disposal.” Tailings and Mine Waste ’00. Proc. Seventh International Conference on Tailings and Mine Waste.Fort Collins,Colorado,USA. 23-26 Jan. 169-180. Sofra`, F. Boger, D.V. (2000) “Reducing tailings from Bauxite Processing”. 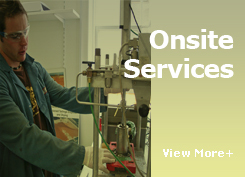 Chemical Engineering inAustralia. Vol ChE 25. No. 2. June-August 2000. 10-13. Sofra`, F. Boger, D.V. (2000) “Environmental Rheology and Minimising Tailings Disposal”. Proc. 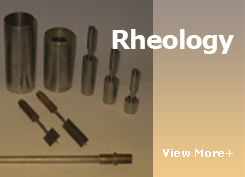 XIIIth International Congress on Rheology,CambridgeUK, 20-25 August. Sofra`, F. Boger, D.V. (1999) “Waste minimisation of bauxite mineral tailings using thickened tailings disposal”. Proc. Third Annual Australian Environmental Engineering Research Event.Castlemaine,VictoriaAustralia. 23-26 November.